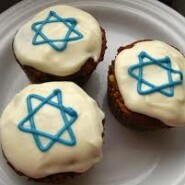 Home » Jewish Moms » Join our Easy Chanukah Recipe Contest and Win $100! Join our Easy Chanukah Recipe Contest and Win $100! Hear ye, hear ye, JewishMOM, I am hereby announcing this year’s Chanukah Recipe Contest. I will be posting my favorite submitted recipes over the 8 days of Chanukah, and the winner will receive $100!